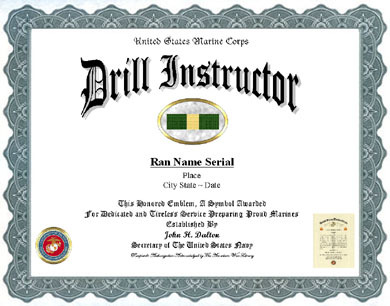 An unaltered photocopy of your DD-214 OR other military issued document clearly displaying your Drill Instructor training, employment or qualification along with your DD-214. The Marine Corps Drill Instructor Ribbon was established on July 15, 1997, by Secretary of the Navy John H. Dalton. The Marine Corps Drill Instructor Ribbon is awarded retroactive to October 6, 1952 (the date the Marine Corps Drill Instructors' School was established). 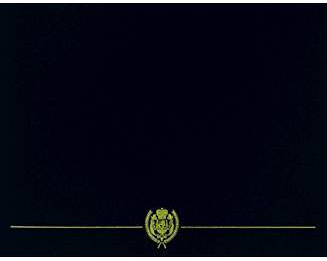 The ribbon is worn after the Marine Corps Recruiting Ribbon and before the Marine Corps Security Guard Ribbon. Second and subsequent awards of this ribbon are denoted by bronze stars three-sixteenths of an inch in circumscribing diameter.